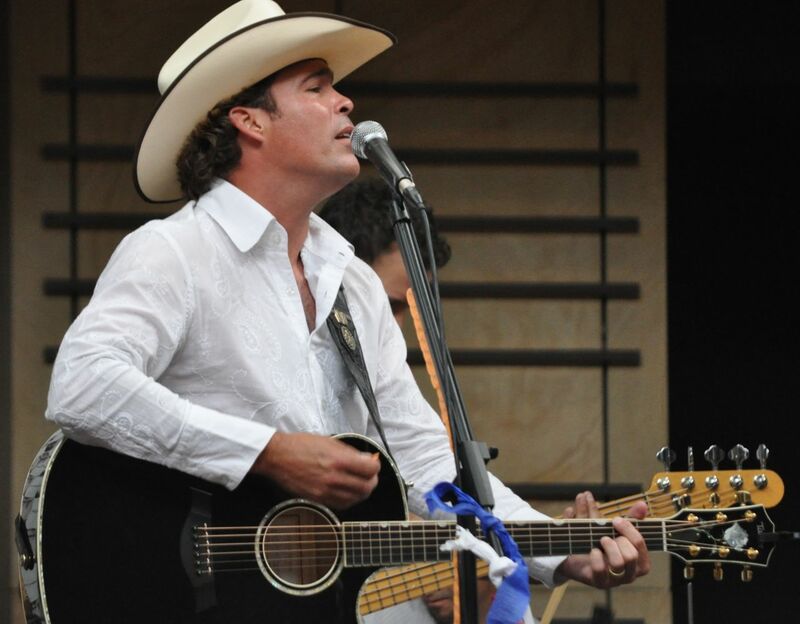 As the title suggests, Clay Walker’s latest single plays out like the alternate ending to Faith Hill and Tim McGraw’s fiery “Like We Never Loved At All.” Whereas the latter finds the woman agonizing over her ex moving on, “Like We Never Said Goodbye” tackles a smaller, more predictable range of emotions as its characters rekindle their relationship over wine. On paper, it’s the less interesting road taken. But it’s not the story that carries this song – it’s the storytelling, done expertly by both Walker himself and the lovely, fitting arrangement. From the first line, Walker is endearingly earnest, using an imperfect vocal to draw out his character’s equal parts eagerness and vulnerability. He glides through the story with playful ease, delivering its simple details with just enough purpose to make them pop. Only a veteran storyteller like Walker could breathe new life into otherwise colorless lyrics –“How you been? / Been awhile / Tell me how’s your mama?”— with nakedly sincere phrasing. No matter how sweet the delivery, though, this story wouldn’t shine without its subtly compelling arrangement. Long before the lure of Billy Currington, Chris Young and Josh Turner, Walker was making music soaked in a different brand of sensuality, out in full rhythmic swing on “Like We Never Said Goodbye.” As with the best Walker singles, there’s an intangible sparkle somewhere within its melody, pulse and sparse piano lines – evocative enough to match the magnitude of rediscovered love, but gentle enough to remind us that country music is about finding the magic in the simplest of stories. Great review of a great song, Tara. The closing sentence is just beautiful. I would so love to see this song do well on country radio. Thanks Ben! I agree that it deserves to do well. Great song. And you’re right about that intangible in Clay’s delivery. Going all the way back to “What’s It To You,” there’s an infectious quality to his vocals that keeps you coming back. …funny, how these days i often think about the new songs/singles i like that they might find it an uphill struggle to get on the airwaves or climb the charts. they usually all have one thing in common – they sound like country from another era. guess age is catching up with me – just hope, i’ll never go as far as finding the “urban cowboy” era a high quality landmark in country music. i wouldn’t rate this one as high as kevin did and i doubt its radio qualities in this day and age, but it’s a fine one to listen to on a road trip. …sorry, tara, obviously, there seemed to be something “kevinesque” to me in this fine review. i mentioned the age thing, didn’t i? Clay is a great story teller! He get the emotion just right! This has been my favorite song since the first time I played the album. Hearing Clay sing it privately in person is…oh so much more romantic! I do think that Clay Walker has been one of the most underrated vocalists in the past 15 years or so. He had early main-stream, consistent success, but never quite broke out. Too bad he didn’t “break out” like Blake Shelton has in the past couple of years. Much more deserved, overall. I love how he is able to put us in those shoes of going thru that sturggle of bumping into someone we were with. The lyrics really put you there at the bar in the conversation, as if it were a movie, easy to follow and live this song….